Find out more about 2016 and 2017 Dutch GPI Player of the Year Tobias Peters who recently won a Circuit Main. 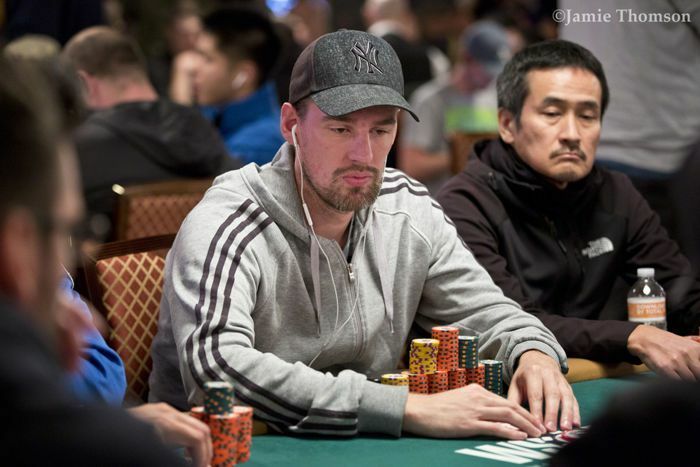 Peters talks about an expensive beat that ended his bracelet run in The Closer event at the 2018 WSOP. If you've played a mid-stakes tournament in Europe or at the WSOP, chances are you've come across Tobias Peters (38) at the tables. Heralding from Alkmaar, The Netherlands, Peters has won over $1.6 million in his poker career, according to The Hendon Mob. Last Summer, Peters made a deep run in the WSOP Main Event and came very close to capturing his first WSOP bracelet in The Closer. A month ago, he conquered the WSOP International Circuit Main Event in Rotterdam, The Netherlands for €67,776 and a WSOP Circuit ring. Peters won the 2017 WPTDeepStacks Europe Player of the Year ranking and has been the top-ranked player from The Netherlands on the international GPI Ranking for many years. He won the Dutch GPI Player of the Year ranking in 2016 and 2017 and is looking to win the 2018 ranking as well. Recently, he lost the no. 1 spot in Holland for the first time in years to Joris Ruijs. While he used to combine poker with work, he said goodbye to the 9-to-5-grind years ago to fully focus on his poker career. Peters travels all around the world to play cards, like he's doing now in Marrakech, Morocco where we ran into him. We asked Peters about his battle with Ruijs, the WSOP, the WSOP Circuit event, his goals, ambitions and future plans. PokerNews: Last year, you won the WPTDeepStacks Europe Player of the Year ranking. You've also been the #1 on the Dutch GPI Ranking for years. How important is winning for you? Is the recognition something you're looking for? Tobias Peters: It's really simple when you play tournaments: you're only satisfied if you win the tournament. If you finish second, you're the first loser. 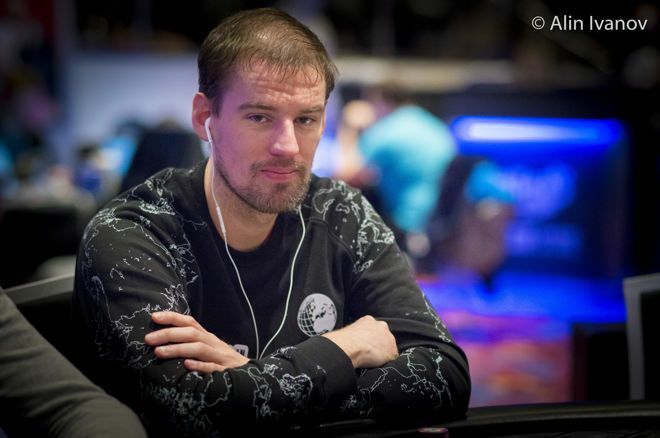 Joris [Ruijs] has just surpassed me on the GPI Ranking by some great results at the EPT in Barcelona. I've won the Dutch GPI Ranking two years in a row — first time in Holland — so I've got that one in the pocket already. I've got a good chance to make it three years in a row. My results are stable and two others [Milad Oghabian and Zhong Chen] have slightly better results this year. There are four months left and there are plenty of great tournaments on the horizon. You're currently ranked 72nd in the GPI Global Ranking. The top 50 is hard to reach, basically unattainable since you have to play the truly big tournaments of $10k and up for it. Do you think the current ranking system needs an overhaul? For the majority of the audience that follows poker, the people that play the high rollers and win it get the most recognition. But it's an equal accomplishment and perhaps even harder to win a 1K tournament with 3,000 players than a 50K with thirty people, even though the latter has relatively speaking stronger players in it. If you want to open up the GPI to a broader field, the bar should be lowered. Most of the people simply don't play 50K's and up; that's a select group of about 100 people. In my opinion, the limit should be set at 10K's; they're still being played by hundreds of people. "If you finish second, you're the first loser." But, no matter what, there will always be people that will challenge the system in use regardless. Take last year for example with the WSOP Player of the Year. A lot of people responded negatively to that formula as well. Last year, the WSOP rewarded cashing a lot with its Player of the Year system, ultimately resulting in Chris Ferguson winning the POY title. This year, it's been changed to reward the 'one-timer' a bit more. Speaking about the WSOP: this Summer, you made a couple of deep runs. You finished 237th in the Main Event ($42,980). And while everyone was nearly gone from Vegas, you jumped into The Closer at the end. You ran super deep in that one, ultimately finishing in 15th for $32,115. How did you experience that tournament? It was a turbo tournament with 30-minute levels, while nearly all other tournaments had at least hour-long levels. It was a soft $1,500 tournament with plenty of gambling going on, enhanced by the fact it was unlimited re-entry. I've seen people buy in up to ten times, also because it was their final shot at a bracelet or to save their summer. The tournament was concluded in two days. "I'm convinced I would've done more with those chips." I started off Day 2 with a short stack, but after a great hand at the start I was able to build up a big stack. I held a top-three stack at the final two tables but unfortunately clashed against the chip leader. Preflop, it went all in with my ace-king against his ace-queen and he flopped me dead on queen-queen-trey. That was such an expensive beat; even though I win 32K, that hand alone was worth about 200K. If I win that hand, I have a serious shot at the top three and possibly the bracelet. I was pretty sick about it for a while, but, as you know, that's part of tournament poker. Winning is important to you, as you mentioned earlier. What's the first thing that's going through your mind after such a beat: the possible big money you're missing out on or that rare chance at a WSOP bracelet? In the end, once you're in that spot, you look at ICM, you look at the money jumps. Like I said: that hand alone is worth about 200K, that says enough about how I view that hand. As it was a turbo event, we were both only 30 big blinds deep. From an ICM point of view, I think he would have been able to get away from it, but it wasn't the best of players. He only ended up in sixth place in the end. Ultimately, that hurts even more; I'm convinced I would've done more with those chips. Legal online poker in the United States? Yes, it's here! 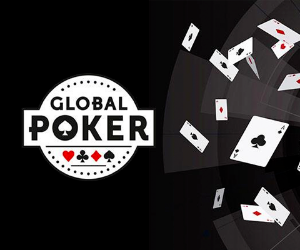 Global Poker isn't just any other poker site; it has a unique sweepstakes model that allows them to offer their games in the US. Unfortunately, The Closer didn't end well. 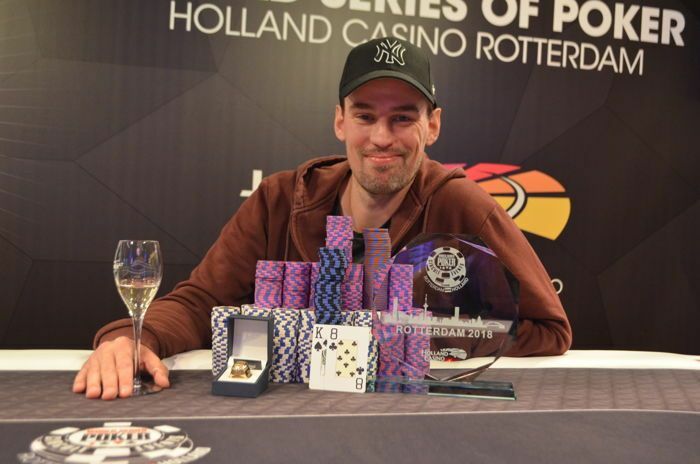 A happy ending did ensue in the WSOP Circuit event in Rotterdam in September. You won over 67K euro. What was the experience like? To be honest, that was the easiest tournament I've played in years. I had a couple of chip leaders to my right, but from the start I was putting them under tons of pressure and they kept over-folding. The more they folded, the more pressure I was able to put. From a certain point on, they did everything I wanted them to do: when I was bluffing they folded and when I had it they called. It went so easily, you can read about it in the live report. One four-bet bluff went wrong at the final table, but in the subsequent hand, I doubled up with kings against fives. Everything went so smooth. The WSOP Circuit victory is a wonderful cash and important for your GPI ranking. You just got off a week in Cyprus where you cashed six times. You play a lot; I bump into you all across the world, like in Marrakech. What are your plans for the future? Do you plan to continue to play a lot? I play when I want to play and the beauty about poker is the independence, picking your time when to play. If I don't want to play, I simply don't. Money is not my biggest drive but you need money to play more tournaments. Luckily, that's been pretty constant and not something I have to worry about. "If Federer loses the top spot after so many years, he's driven as well." I'm driven by other challenges, such as the GPI and the Player of the Year. I'm pretty bummed out that the no. 1 spot in Holland has been taken from me after such a long time. If Federer loses the top spot after so many years, he's driven as well. I'm not comparing myself to Federer by any means, but I have that same drive: I'll do anything I can in the next few months to reclaim the Dutch no. 1 spot at the Global GPI Ranking and win the Dutch GPI Player of the Year ranking for the third year in a row. Do you consider yourself the best live tournament player in Holland, as you've been at the top of the GPI ranking for years? It's not possible to say that. I dare to say that I'm the most consistent tournament player in Holland, but the best is something I, first of all, would never say of myself and secondly, is something that's not measurable. I simply play a lot of tournaments; others that perhaps play more online and the occasional live tournament might be ten times better. The consistency is pretty clear: you're cashing everywhere and run deep a lot. Where do you think that consistency is originating from? Is it a focus thing? "I dare to say that I'm the most consistent tournament player in Holland." I think my biggest quality is my adaptability, being able to adapt to different types of players. Whether I'm playing in Cyprus or Marrakech where players are pretty loose, or something like the upcoming Master Classics of Poker in Amsterdam where the level of play is much higher, it's about adapting to the level of skill at your table and what you can get away with. I think to be able to make those adjustments, combined with usual factors like the known poker skills, make me a consistent player. This interview with Tobias Peters was held during Day 1a of the WPTDeepStacks Main Event in Marrakech. 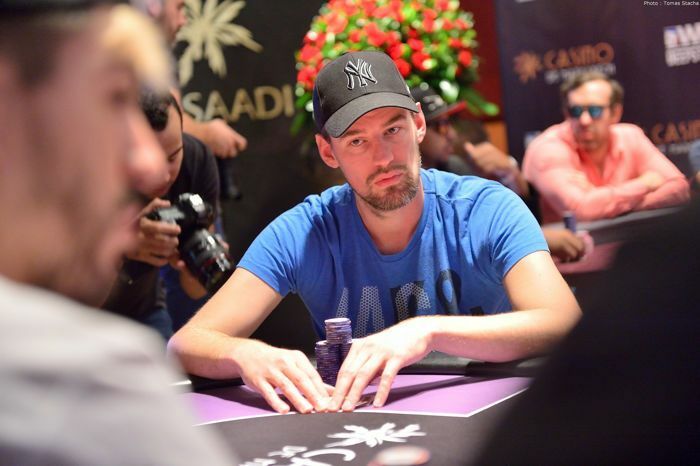 Peters proceeded to show his skills, winning the 4,500 MAD (Moroccan Dirham, about $475) 8-max side event for 120,000 MAD (about $12,660). Then, he ran deep in the 13,200 MAD (about $1,400) Main Event and finished 11th for 90,000 MAD (about $9,500) for a successful trip to Marrakech. WPT's Alex Gray spoke with Peters about his side event victory. The GPI ranking hasn't been updated at the time of writing.